Stunning Organ Mountain views! 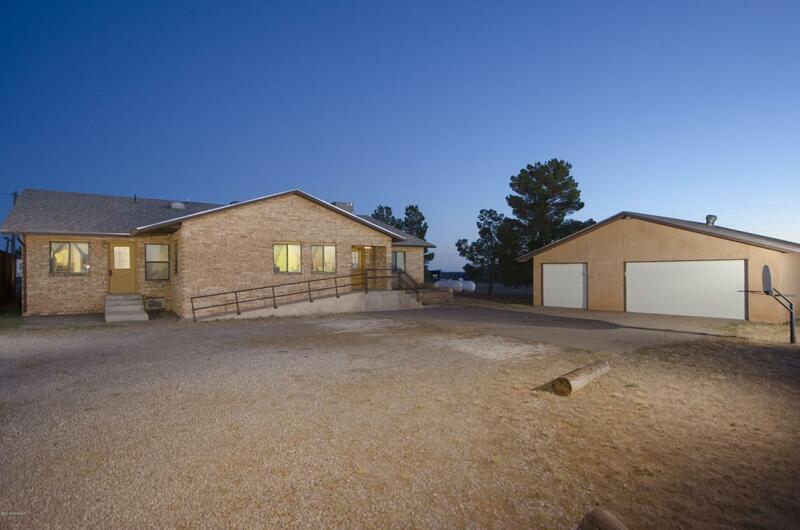 3,146 sqft of home sitting on 3.18 acres of land! Offering 4 bedrooms, 3 baths, plus a hobby/craft room, sauna room, and an office with its own entrance. A 3-car garage with tons of storage space. Home originally started as a permanent manufactured home, appx. 1140 sqft and an additional 2006 sqft was added on as site build on a concrete slab foundation. Kitchen offers split set up with two sinks, two sections for refrigerators, a new cooktop, built-in oven, and dishwasher. The large dining room area that flows into a great size family room. Utility room for washer and dryer with entrance into enclosed back porch. Outside is gated with chain-link fence and sectioned off for live animals, horses and other domestic animals allowed. Every section has its own water bib including dog kennels. Out back also has a 14x62 ft. workshop with electricity and two smaller sheds for lawn equipment.